Once upon a time, optics on handguns were the stuff of sci-fi movies or high-speed competition shooters. They weren’t exactly practical and to see one in the wild would be a show stopper with a quickly gathering curious crowd. Those days have given way to some serious evolution in pistol optics. There has been a loud cry from the defensive handgun community for optics that are durable and every day carry worthy. 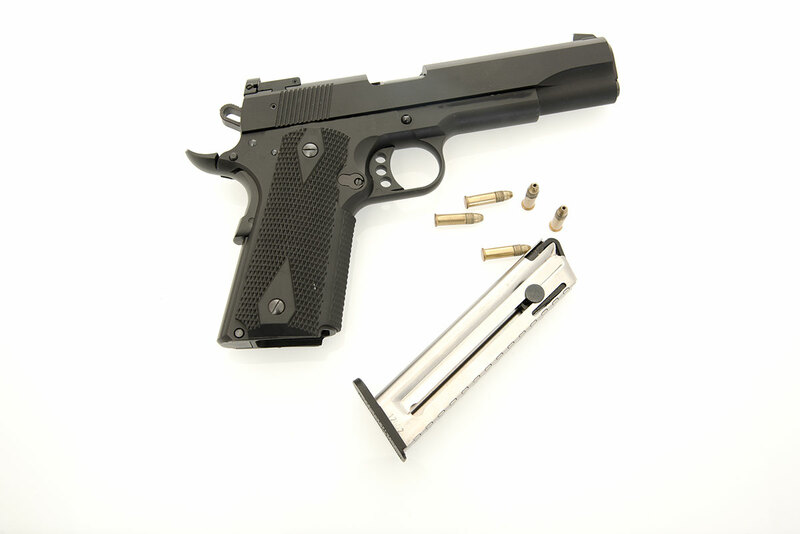 There is a great deal to be gained using an optic on a defensive handgun with speed being at the top of the charts. 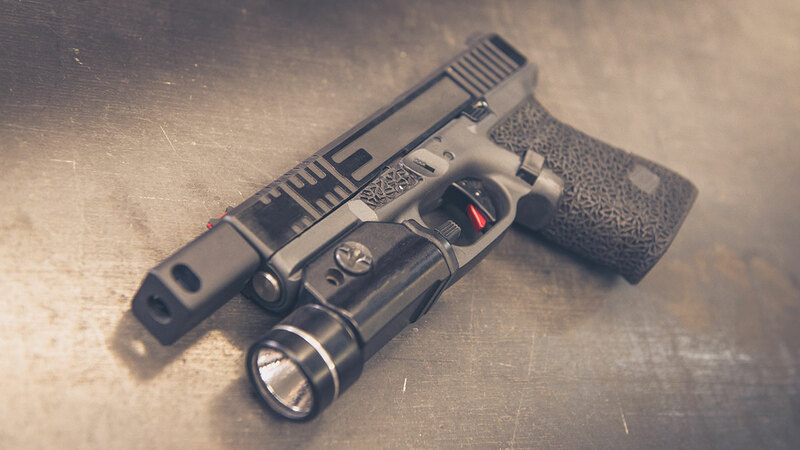 2018 has been a banner year for these small resilient optics and I believe we may be witnessing the birth of an entirely new category and style of handgun, those with dedicated optics for every day carry. With that being said, let’s take a look at the top eight that I see in a majority of my course around the country. Trijicon has been a serious player in the fighting optics world since they fielded the ACOG military optic. They were also one of the first red dots to be adapted for handgun use. One of the best they have is the RMR 6.5 MOA Adjustable LED Red Dot Sight. Constructed from aircraft aluminum it is a perfect mix of light yet sturdy. The lenses are multi-coated which provides exceptional light transmission. 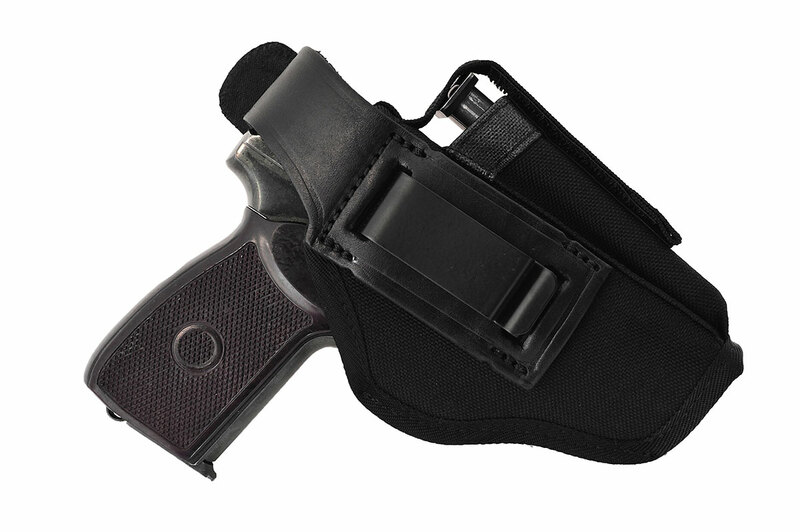 This RMR (Ruggedized Miniature Reflex) has a patented shape that absorbs impacts and diverts stress away from the lens. It provides a 6.5 MOA dot with eight brightness setting. One of these illumination settings is the super bright setting, while two of these settings are for night vision. Battery life on this optic is superb as well as a projected life span of four years in continuous use. Vortex has entered the red dot market with their RZR-2001. This is a 3 MOA dot sight that is both waterproof and shockproof. This is accomplished with the incorporation of an O-ring seal to protect from water and dirt. The lenses have been multi-coated for maximum light transmission and minimal reflection. The Razor has a good battery life of 150 hours at the highest illumination setting and 30,000 hours at the lowest setting. It offers a comfortable adjustment setting and graduations of 1 MOA per click. It is a great optic at a solid price. Another option from Trijicon is the RMR 9 MOA Dual-Illuminated Amber Dot Sight. This is a battery free sight, featuring Trijicon fiber optics and tritium housed in rugged forged aluminum. The optic is designed for rugged use without compromise. It is designed with a 9 MOA dot with low light utilizing the tritium-phosphor lamp for illumination and in daylight it uses the Trijicon fiber optics with an amber-colored reticle. Brightness is easily adjusted as is the windage and elevation. This is definitely a hard use optic. Vortex has another red dot that is worthy of our list. The Venom Red Dot Top Load 3 MOA Dot is a solid choice for your handgun. Like the other Vortex optic, the Venom is waterproof and shockproof. A 3 MOA dot promotes rapid target acquisition, and the lenses are fully multi-coated that offers a clean, wide field of view. The top-load system makes changing the CR 1632 battery a snap and alleviates the need to remove the sight when switching the power source. The Venom has ten different levels of brightness, which means that you have more options and you can choose to use the automatic mode or the manual mode. With 1 MOA easy adjustments it is in the running as one of the best optics available. The Burris Fastfire III 3 MOA Sight is the bestselling red dot from Burris. This 3 MOA optic provides fast and clear target acquisition. It has an automatic brightness sensor that adjusts brightness to match environmental settings. It also has three manual settings should you choose to go that route. Battery access is conveniently located on the top of the sight and it has an automatic time-out feature after eight hours. Battery life is projected up to five years. Reasonably priced and hearty, the Fastfire is an optic worthy of a good hard look. A name that always comes up in red dot conversations is Leupold. 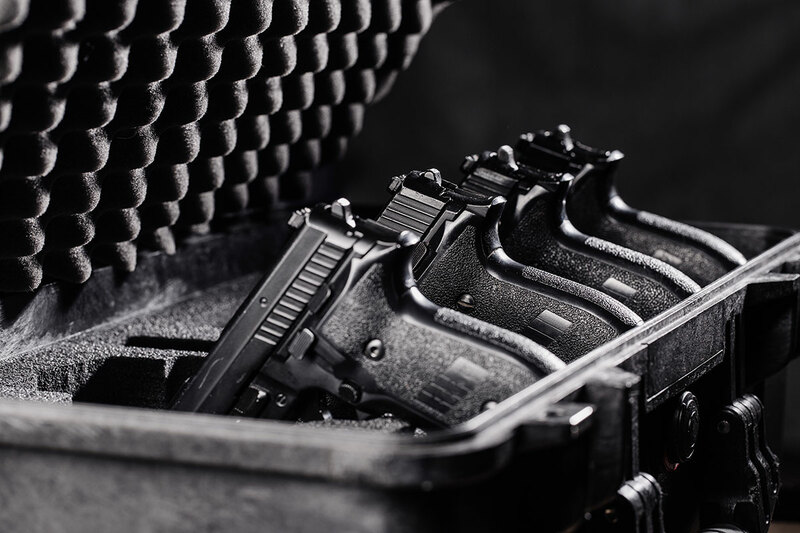 Their DeltaPoint Pro can be found on thousands of guns around the country. The lightweight aluminum housing is shrouded by spring steel for ruggedness while the aspheric lens generates a wide field-of-view with great image quality. The optic includes some very handy technology. Leupold’s patented Motion Sensor Technology™ discerns any movement of the sight and automatically activates the illumination which is inset into a light tunnel to reduce the light signature in tactical situations. It has 1 MOA adjustments and is waterproof to over 10 meters. Simply one of the best on the market. This lightweight optic combines fast target acquisition with military-grade durability. For high visibility in all lighting conditions, it has a small footprint, low power consumption and auto/manual dot-intensity adjustment with four brightness levels. The MRDS is easier to operate than competitive models. Its top-loading battery compartment means you don’t need to remove the sight or lose zero. Positive click adjusters provide 1 MOA per click for windage and elevation correction, ensuring quick and accurate sight alignment without guessing. Powered by one 3-volt CR-1632 lithium battery, depending on output setting, continuous run time on one battery is up to one year. Easy to use and using super clear glass it is a solid choice for defensive carry. At this point I feel as if I should write, “In the beginning…” because these were some of the first optics to appear in competition. Born in Carl Zeiss factories bought by Bernhard Docter after World War II, Docter Optics manufactures optics with exceptional quality standards. The DocterSight II Plus 3.5 MOA Red Dot Sight is one of their newest offerings. This optic is built with high-strth steel and hard-anodized aluminum casing. It has a two-lens high-performance optical system, an infinitely adjustable reticle, and an automatic control of illumination intensity. This little 3.5 MOA optic represents decades of commitment to quality and performance.